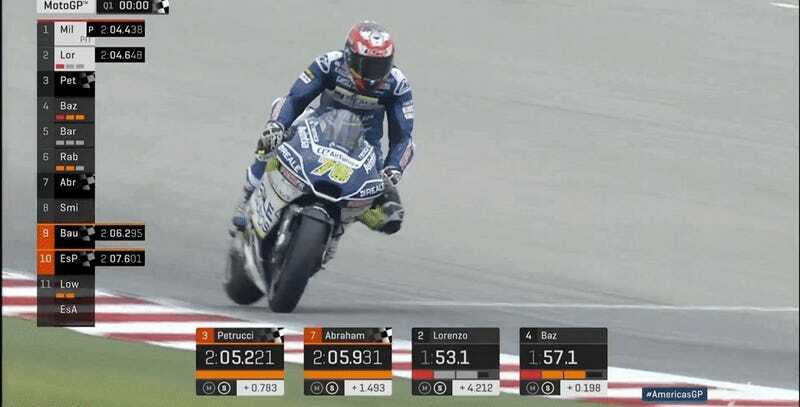 Yamaha’s Maverick Viñales, who won the first two races of the season, set the fastest time on the last lap of qualifying, only to see Marquez grab back the pole in the waning moments. Valentino Rossi will start from third spot on the front row. Tongues are already started wagging over Rossi and Viñales getting into a flap on track when the teammates almost touched in a corner. Viñales came out of his seat gesticulating at Rossi, and almost got slammed into by a trailing rider. Viñales and Rossi exchange words after qualifying. “But I was still faster!” - Viñales, probably. While all seemed to be forgiven after the qualifying session, Rossi’s legendary ability to piss off his teammates—like former Yamaha rider Jorge Lorenzo springs to mind. Could the love-fest be coming to an end? Lorenzo came in sixth on the Ducati, a result that had the former three-time champion pumping his fists in pit lane. The save of the day came from French rider Loris Baz, who was on a charge in the final moments of first qualifying session, only to have his Avintia Racing Ducati try to buck him off of the bike. While the incident kept him from advancing, the save prevented what would have been a nasty wreck. Here are a few more action shots from qualifying. 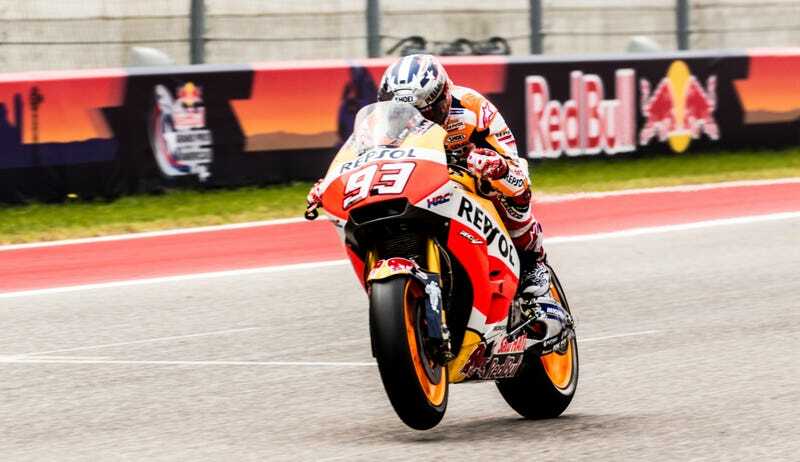 With all the back and forth between Márquez and Viñales this weekend, the race should be good.